Electro-grime. Glitch-pop. Divorce. Dani Filth. Alan Partridge. Indian religious cults. Betrayal. “Tacky Nineties Euro-sounding club stuff.” A beatboxer. A whole lotta rock, and a whole lotta ambition. Love. amo. When Bring Me The Horizon decided they were going to tear things down and change things up for their sixth album, they didn’t hold back. With their last album, 2015’s That’s The Spirit, the Sheffield heavyweights went one louder, moving from the proud metalcore margins to a big, bold, balls-out, tunes-up rock album. 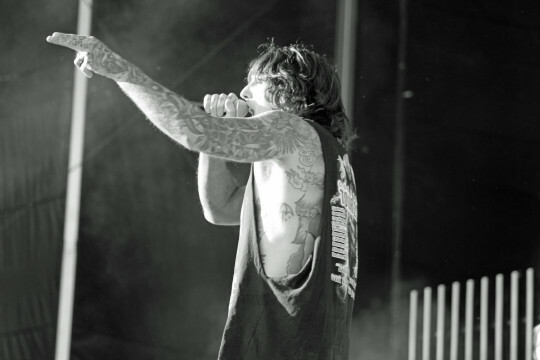 “We set out to write an album of 11 bangers,” states frontman Oli Sykes, unabashed. “My favourite album when I was a kid was Linkin Park’s Hybrid Theory, and I thought every track on that could be a single. We wanted to do that.” It was a job emphatically done. That’s The Spirit entered the UK charts at Number Two and cracked the Billboard album charts. Its critical and commercial success kept the five-piece on the road around the world for 18 solid months, with an added tailwind from their orchestral pit-stop at the Royal Albert Hall, as immortalized in December 2016’s live album. After a few months apart, rebooting their personal lives, BMTH reconvened in autumn 2017. It was time to start what Fish describes as “a rebuilding process, and get excited again”. Easier said than done. Never less than rigorous, the band admit that it took some months before they had anything like a breakthrough song. For Sykes there was, too, a bittersweet diversion just as the writing sessions kicked off. He flew to Los Angeles to sing at the tribute concert in honour of the late Chester Benninton. It was of course an honour to be asked, but clearly not something this teenage Linkin Park obsessive had ever anticipated he’d have to do. 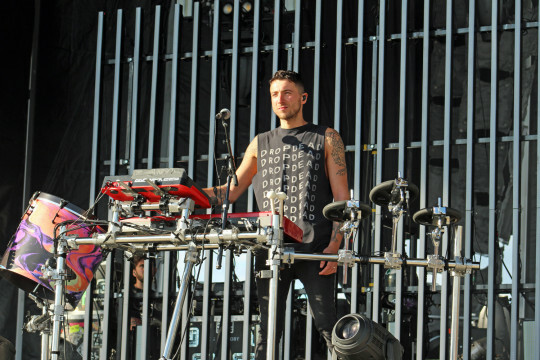 “Linkin Park were the first gig I ever saw,” he says quietly. “And in Kerrang! the next week I could see my eyeball in the crowd. So in class at school I burst out crying! But if you could tell that kid that one day I’d on stage, singing a song in his memory – you just think, bloody hell, how did that happen? And how did I get to this point in my life? In a way. I’ve already won, ’cause our band is great, we’ve achieved loads, and I’m with my mates. But then you have something awful like that happen…” As he struggled with the writing Sykes confesses, too, to crises of confidence. Was he burnt out? Too old (at the ripe age of 31)? Too distracted? On the latter point, to be fair, his apparel company Drop Dead Clothing was going from strength to strength, with an expansion that included the opening of a bar in the company’s huge Sheffield HQ, as well as a band recording studio, The Cinnamons, named after Alan Partridge’s newbuild dream home. Also on the last point, something less fair: the frontman had undergone a divorce, a bruising experience that would find form in some of the new album’s more emotionally trenchant lyrics. In happier news, he also found new love, and a second marriage, to Allisa. 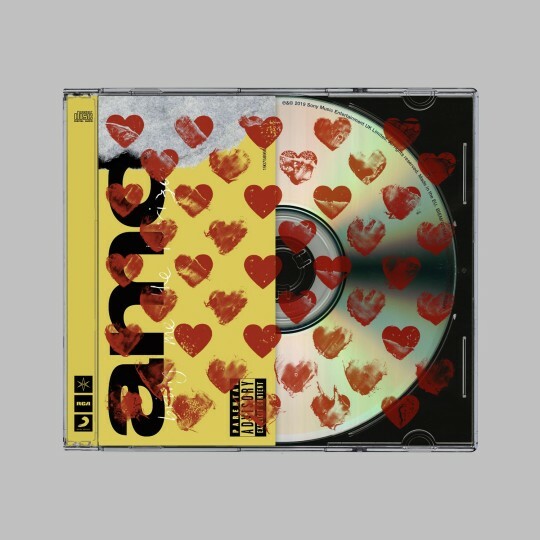 Hence the album’s title, amo, which is Portuguese for love. 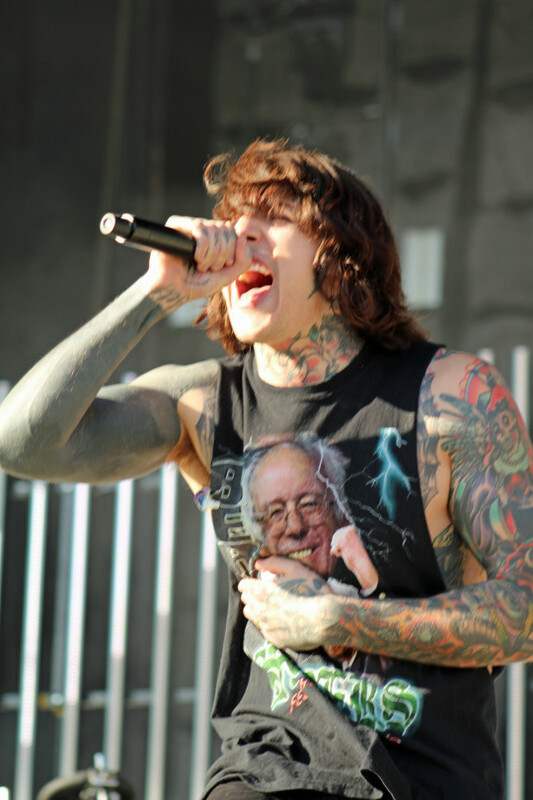 Never ones to duck a challenge, BMTH pushed on. Finally, a breakthrough: Mantra. “When we wrote that song, we knew it was the first one we were going to put out,” states Fish. “That came together in March this year, but we’d already been writing for six months at that point. And when we went into the studio in LA, we were still writing and changing songs. Loads more came. 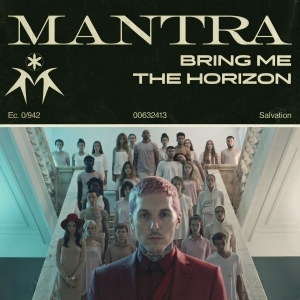 In fact, we were writing stuff for the album when we were mixing – the intro song, I Apologise If You Feel Something, actually came together in the mixing studio.” Lyrically, the hard-charging anthem that is Mantra grasps the thistle of the truth – how it will “set you free” but also “torment”. The scratchy, glitchy Ouch – its drum’n’bass contours conjured in a mad 45-minute burst of inspiration and innovation – is another deeply personal song that touches on his last relationship. “That’s probably as personal as it gets,” says Sykes. “I was really hesitant about writing that, about looking like I was wallowing in it. 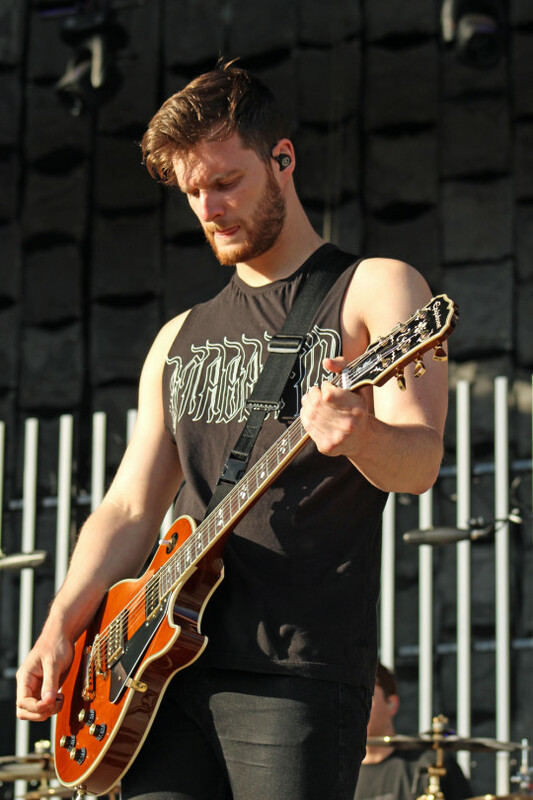 I’m glad [the split] happened, and I’m in a really happy place, and it takes two to tango – but at the same time it was a really painful time for me.” “Medicine is connected to that too,” adds Fish of the expansive, defiant, soulful rocker that is slated to be the third single from amo. And, then, another left turn: Why You Gonna Kick Me When I’m Down could, almost, be grime. Is this, then, BMTH’s Kid A? Crazier things have been said. Certainly the spirit of adventure, of rule-breaking and history-scorching, is here in spades. In the bold corner stands another guest, human beat machine and Björk collaborator Rahzel, bringing his special set of skills to bear on the throbbing, shape-shifting Heavy Metal. And in the none-more-black corner stands Dani Filth, who makes his distinctive presence felt on the mighty Wonderful Life – a song that’s never less than heavy-as-fck, not least when the sound of cranked up brass kicks in. An idea for BMTH LP #7? 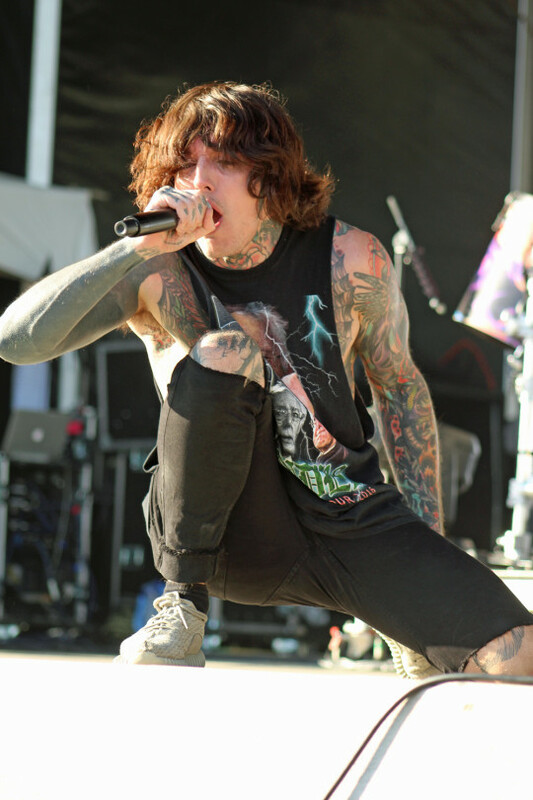 As amo emphatically and brilliantly proves, Bring Me The Horizon never say never to anything.